Each inverted purple teardrop is a waypoint. Each blue one is a Point of Interest. You can place and drag both kinds (waypoints and POIs) on the map with the computer’s mouse pointer (or your finger if you’re doing this on a touch screen). The white box on the right shows the settings for Waypoint #2. You can set the altitude, speed, curve size (if curved turns are enabled in global options), aircraft heading, reference point of interest, and gimbal pitch. Heading only matters if you have a camera that swivels independently (like the DJI Inspire). Otherwise, if you have a DJI Phantom series with a non-swiveling camera and you have any point of interest aiming going on, the aircraft heading (the direction the “nose” of the aircraft is pointing) will adjust to keep the camera aimed properly. This is true for both Litchi and Autopilot’s aircraft heading settings. Camera aiming changes heading constantly when the drone is in motion and maintaining a POI in the center of the camera’s view. Being able to use my computer’s large monitor and precise mouse pointer to design missions is fast, easy, and very convenient. With Autopilot, all this mission design and more) must be done in the app on your Apple IOS device’s touch screen – using your fingers. This one feature is, for me, the largest advantage Litchi has over Autopilot… and I think it’s a biggie. Litchi has other modes besides “waypoint” but I don’t use them enough to comment on them fairly. I’m after smooth cinematic shots that I can think about and plan in advance. That makes Litchi’s waypoint mode the one I’m almost exclusively interested in. Autopilot is viewed as having a steeper learning curve than Litchi. That’s true if you want to know what every setting does and how to use it. But the largest difference that I see is one of conceptual design. With Litchi, all things happen at waypoints. Autopilot takes a different approach. It also has waypoints, but they’re almost completely concerned with aircraft position, altitude, and speed over the ground… and not much else. 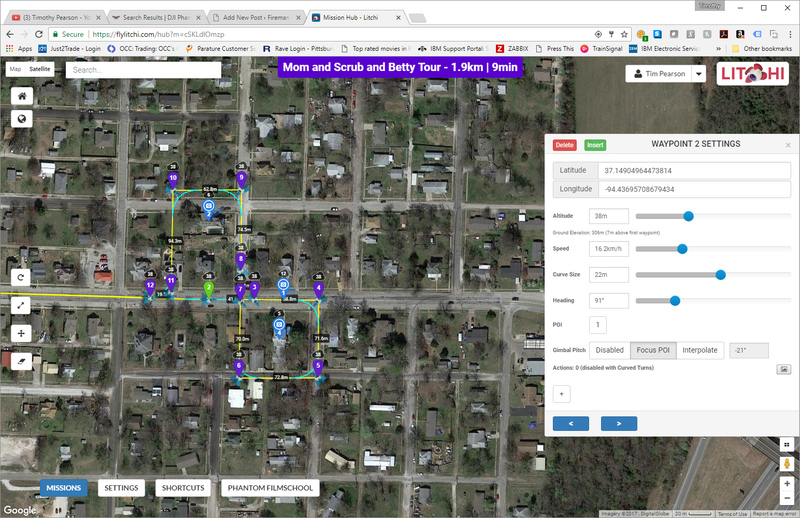 Autopilot adds two other kinds of markers you can add to your flight map: Focus Triggers and Camera Triggers. Think of them as “action at a location” markers… Another way to think of them might be “points along the course (defined by the waypoints) where other stuff happens.” Waypoints and Triggers can be located at the same spot – making Autopilot work more like Litchi. Camera triggers are the least complicated and easiest to understand. With a camera trigger, you’re telling the camera to do something as the aircraft passes the camera trigger’s location… Start recording video. Stop recording video. Take a photograph. Things like that. Camera Triggers don’t have that many options and aren’t even necessary if you are going to start recording video when the mission starts and stop when the mission ends. 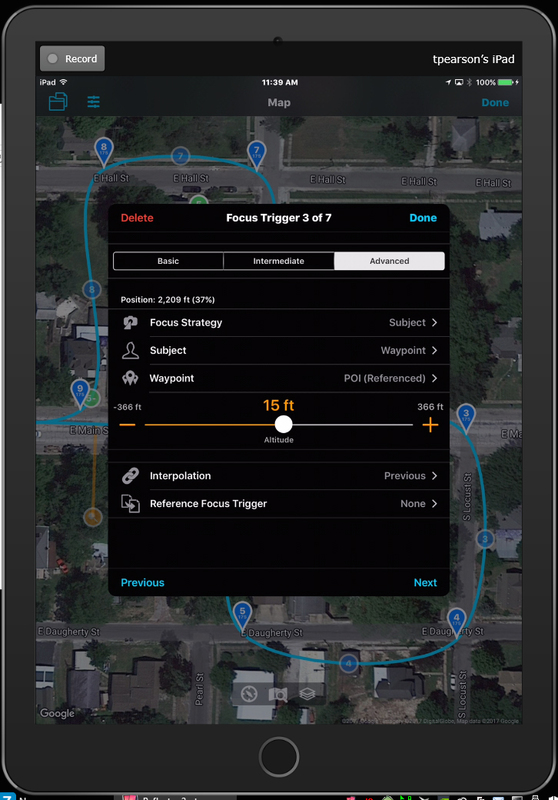 The next “action at a location” marker you can place along your route are called Focus Triggers. While Camera Triggers instruct the camera to do something, Focus Triggers instruct the camera to point somewhere. Here’s where a lot of the charges that Autopilot is complex are spawned. There’s a zillion ways (not really) you can instruct the gimbal and/or aircraft to aim the camera. Mastering Focus Triggers is essential for creating sequences containing complex moves. But there’s also a way to look at Focus Triggers the same way you commonly control camera aiming with Litchi. You can have a Focus Trigger that includes a Point of Interest (POI) marker that you can place on the map. POI’s work pretty much the same. The really useful and powerful technique you can pull off with Focus Triggers involves interpolating the camera’s aiming as the aircraft flies between Focus Triggers. You can make transitions as rapidly or slowly as you like depending on how far apart you place two Focus Triggers that use interpolation between them. The first Focus Trigger (with the Interpolate setting on “Next”) tells the camera to “start the move to your new aiming point” while the second Focus Trigger (with the Interpolate setting on “Previous”) says “by the time you get here, the camera will have it’s new aiming point in the center of the field of view.” The further apart you place these two Focus Triggers, the more slowly the “move” takes place. Remember that Focus Triggers have only to do with the camera’s aim. You can have all kinds of other stuff happening with the aircraft using Waypoints – changes in speed, altitude, course, or all of the above – and the camera will continue to maintain or adjust its aim based only on what the Focus Triggers tell it. This decoupling of aircraft movements and camera aiming is at the heart of what makes Autopilot so flexible and powerful. The blue teardrops are Waypoints… locations where the aircraft’s course over the ground, altitude, or speed change. 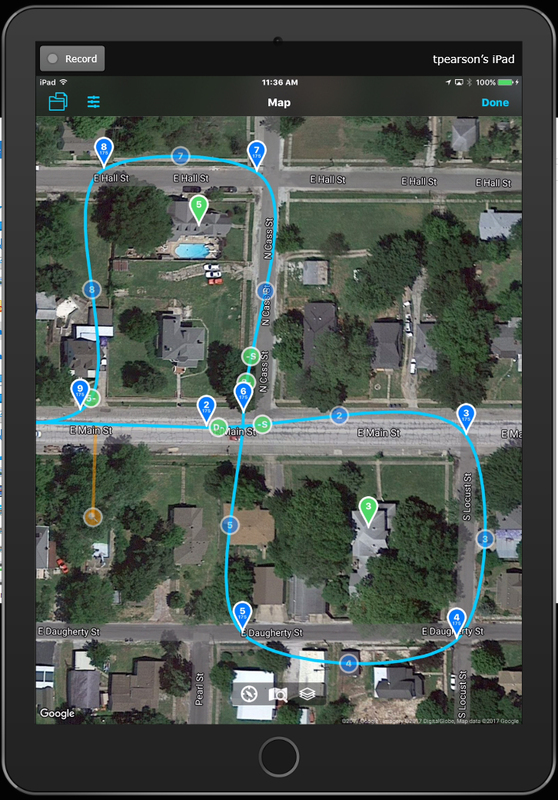 The blue circles are used to split a segment of the course line and insert a new waypoint. You’ll also notice that the curved path in Autopilot looks different than the curved paths in Litchi. That’s because I selected a special kind of curved path that Autopilot offers called “Bezier Curves” (pronounced “Bez-yay”). They make the curved path less like a radius of a circle and more natural looking (I think). If you make big changes in altitude between waypoints that are close together, the aircraft can easily be asked to perform more radical maneuvers than it’s capable of (or that is consistent with safety). In this case, the aircraft will simply stop at a waypoint and complete a safe vertical ascent or descent to the desired altitude… and then continue its horizontal movements. Although I seldom use them, Waypoint Actions are always available in Autopilot when in “cool features enabled” mode. They include commands to “Hover for x seconds,” “Ascend or Descend vertically to a specified altitude,” and “Take a Panorama of photos”… or combinations of these. You have lots of options here. Especially with the “advanced” settings displayed. However, if you keep thinking logically and do some reading and experimenting, it will all make sense. The Altitude slider sets the estimated altitude of your point of interest. The top of a water tower rather than the base for example. Interpolation we’ve talked about already. Reference Focus Trigger let’s you “borrow” another Focus Trigger’s point of interest marker and use it – instead of creating another one in the same spot. An aside: I don’t want to open a whole new can of worms here, but the “operator” option has a cousin that’s not displayed called “Airspace“. 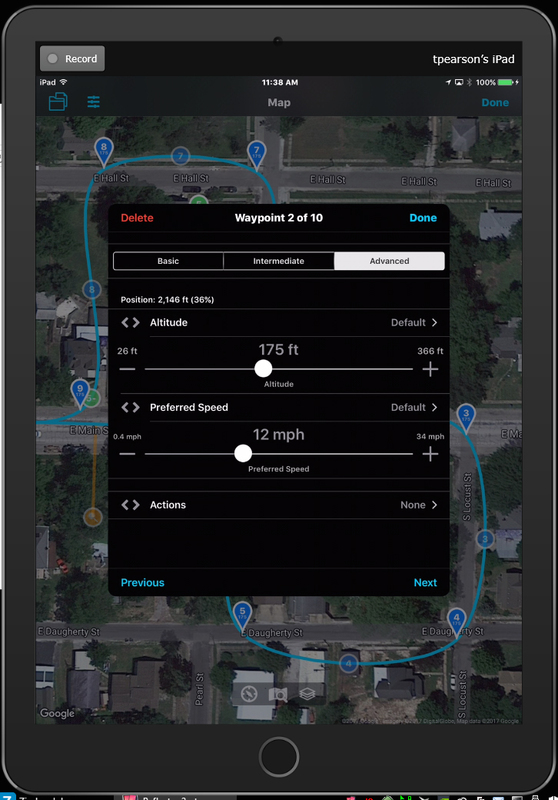 Autopilot has a free “Airspace” app you can use with tablets and phones. Multiple aircraft can also join the same Airspace. So long as all the airspace objects have a network connection, they can become the aiming point for the camera. So one drone can automatically maintain its camera aim at another drone or can focus on a person or vehicle carrying a GPS equipped mobile device running the Airspace app. You can hand out Airspace-running mobile devices to multiple people and use focus triggers to switch between the one the camera is tracking. Airspace can also be used in Autopilot’s “real time” (i.e. not pre-planned waypoint) modes. Autopilot has the same visual tracking capabilities that Litchi (and DJI Go for some aircraft) have. But Airspace is FAR more reliable and immune to things like trees getting in the way… causing visual tracking to get lost. The videos below show Litchi and Autopilot flying missions that are nearly identical in design. I flew the Autopilot mission in “cool features enabled” mode and had a signal loss right as the aircraft was starting for home near the end of the mission. So what you see at the end of the Autopilot video is me flying home by hand. Both videos are 30 FPS and 4K. Both were post-processed in Adobe Premiere and have color grading adjustment layers applied prior to the final render. The music is legit to use on YouTube and elsewhere in public. The right to use comes from my subscription to Audoblocks.com. The idea to compare the two with similar missions didn’t occur to me till after I’d flown the Autopilot mission so you’ll see some minor tweaks between the two based on what I saw in the video after the Autopilot run was over and I looked at the video on a big screen. I’ll admit up front that I didn’t design this mission to draw a huge contrast between Litchi and Autopilot by employing big, complex moves that Litchi can’t do – or only does with some difficulty. 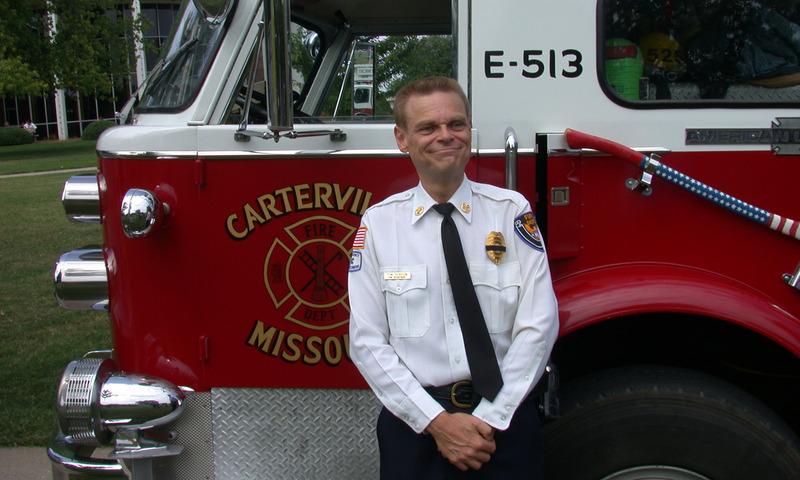 It’s intended to be a representation of a common mission with a common goal. In that environment, I think both apps performed quite well! Feel free to share with friends using share buttons above and below the article. Share your thoughts with other readers using the Comments section below. I’d be interested to hear your thoughts! I’m so glad you found the article useful. Happy flying! Excellent article. Thank you for sharing your experiences with us. I would like to ask you the following questions before purchasing the applications. I have an Inspire 2 and we are two operators. I sometimes need to fly with tracks and I wondered if there is an option that the camera operator, with the second remote control, is free to make the focus movements you want in the course of the mission. Thank you for the kind words, David. I know on the Hangar Autopilot app, you can set the “Focus Strategy” to “none” which would let you manually control the aim of the camera on the Inspire. I’m not sure that there is a way to make Litchi do that. As I mentioned in the article, one of the biggest differences between Autopilot and Litchi to me is the fact that Autopilot tries to decouple the course waypoints from the camera aiming completely. With Litchi, the camera aim and the course over the ground are more tightly coupled. So I’m sure you can do what you want to do with Autopilot. Something else you can do with Autopilot that might be of interest… you can program in a waypoint mission but control the aircraft speed (as a percentage of the speed you programmed into the mission) using the right joystick. That would let you make adjustments to the aircraft speed in real-time, while still letting Autopilot worry about altitude and course. Just a thought.